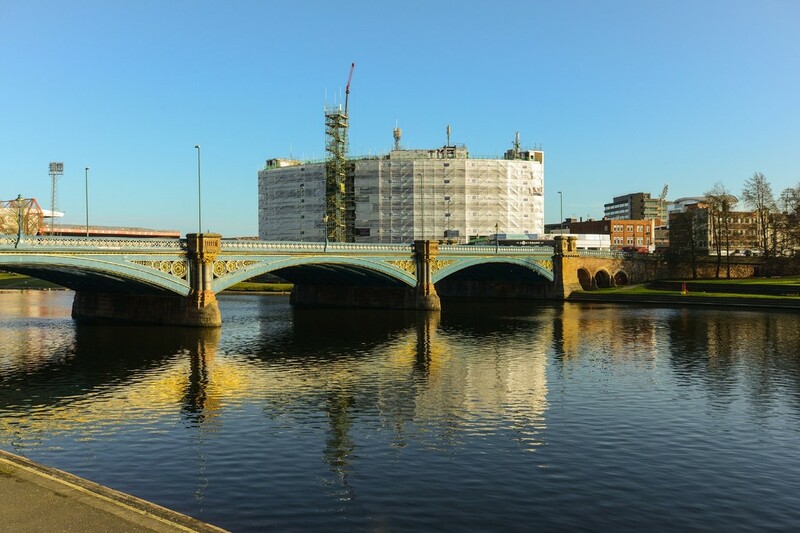 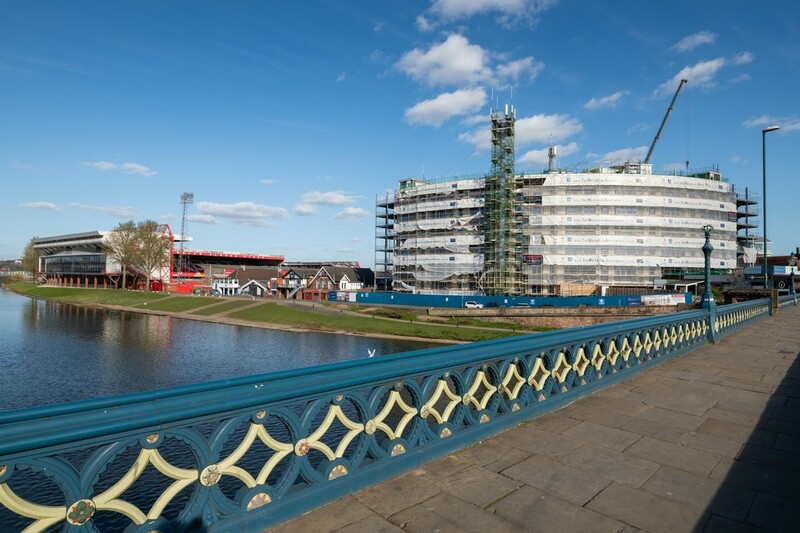 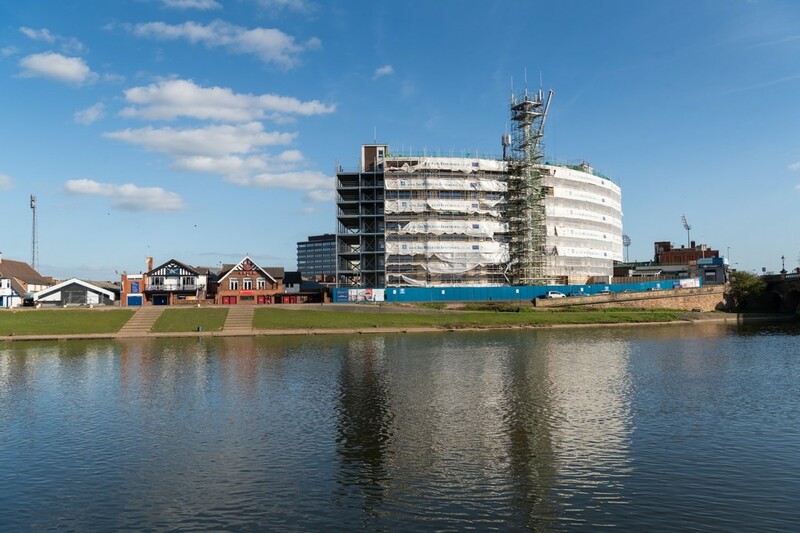 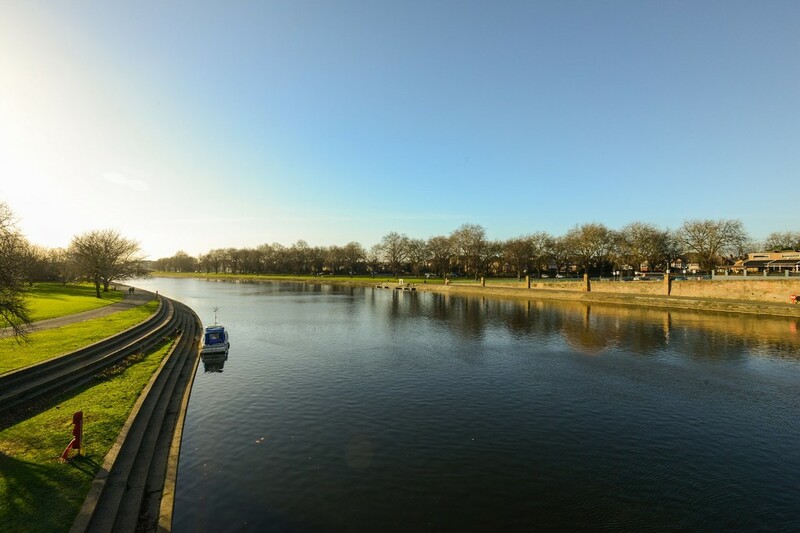 The Waterside Apartments offer twelve spacious three bedroom Duplex Penthouse apartments. 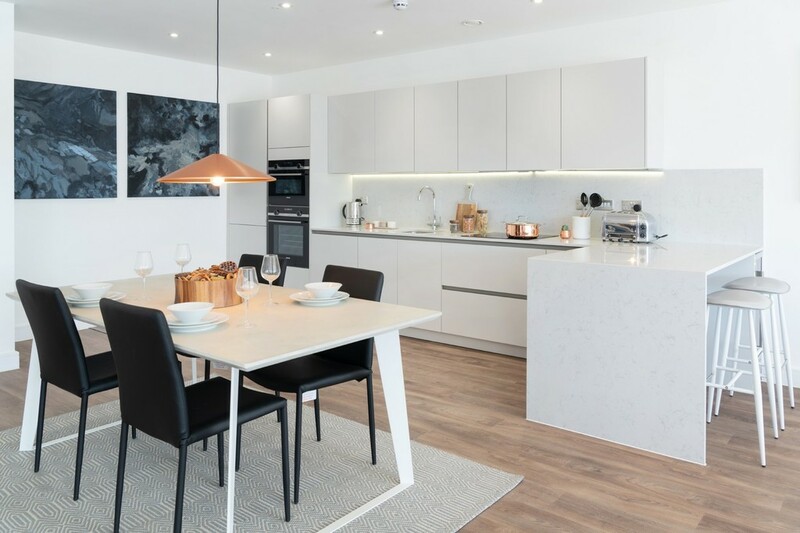 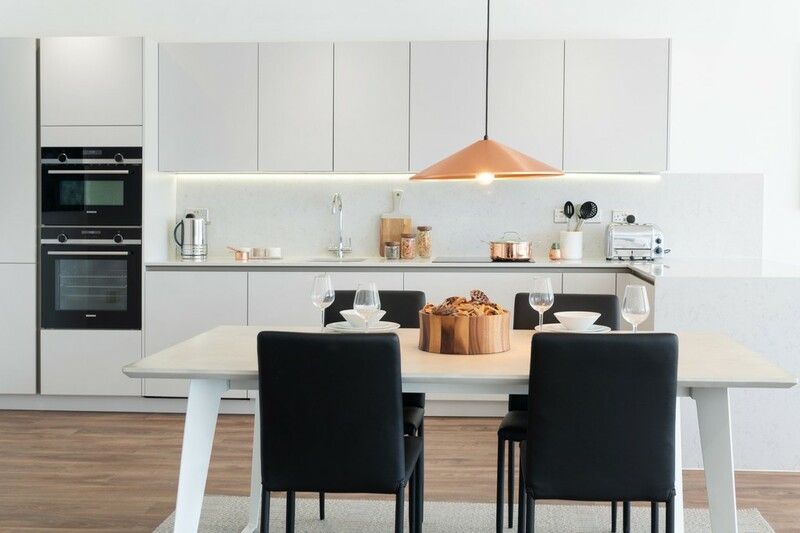 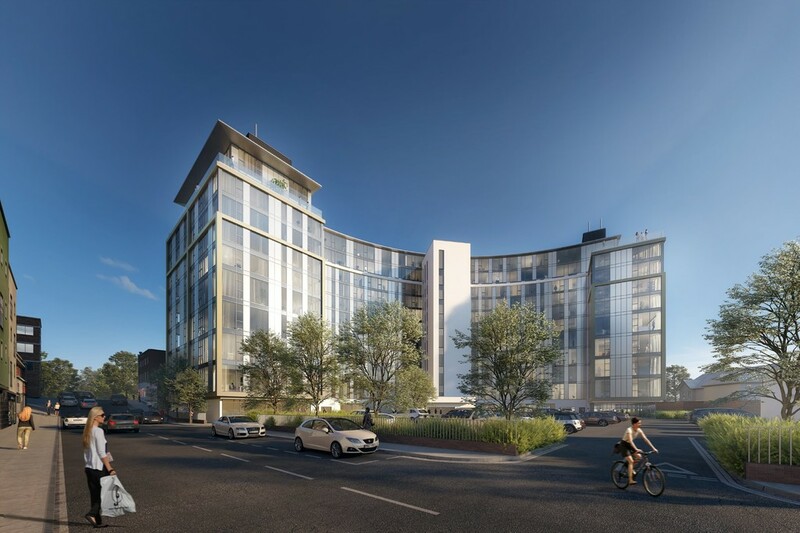 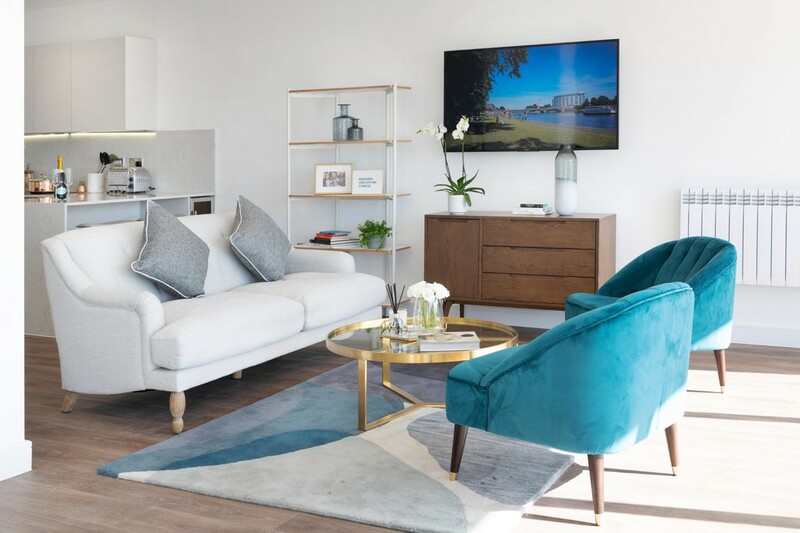 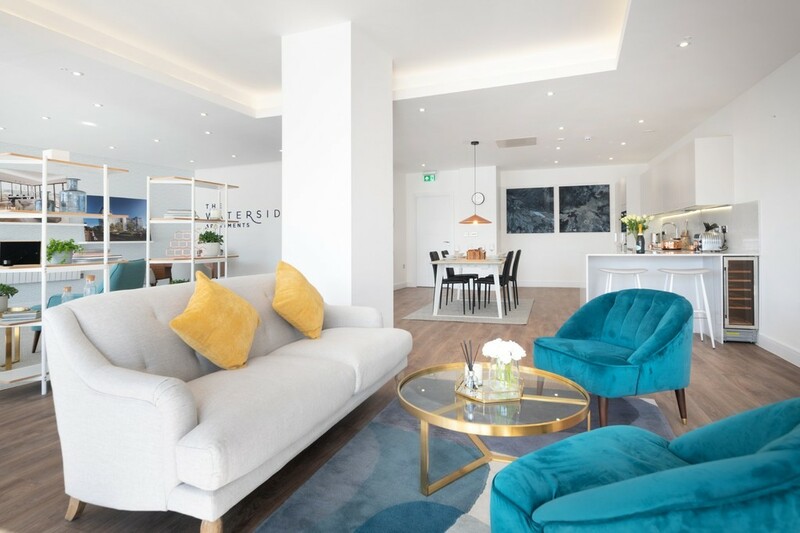 Penthouse 10 is a luxury three-bedroom duplex penthouse apartment, located over the ninth and tenth floors, including an en-suite bathroom and a shower bathroom with open plan living space. 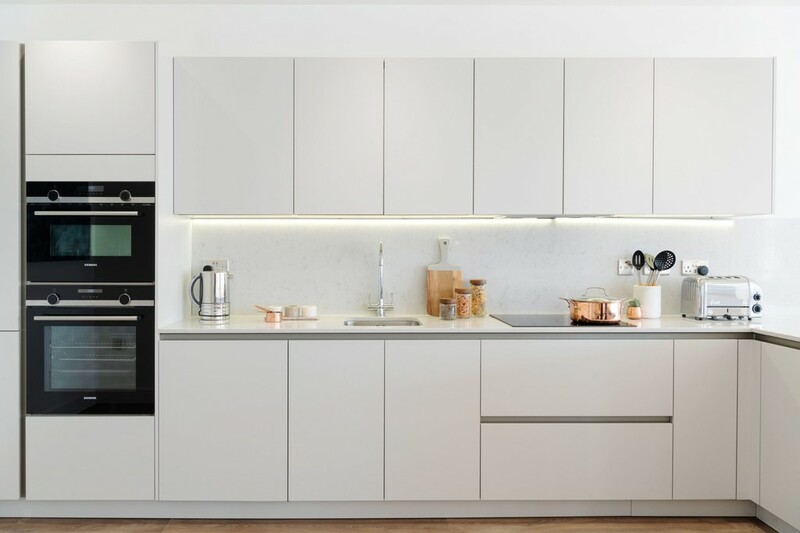 The contemporary design fitted kitchen has the benefit of a large feature island breakfast bar. 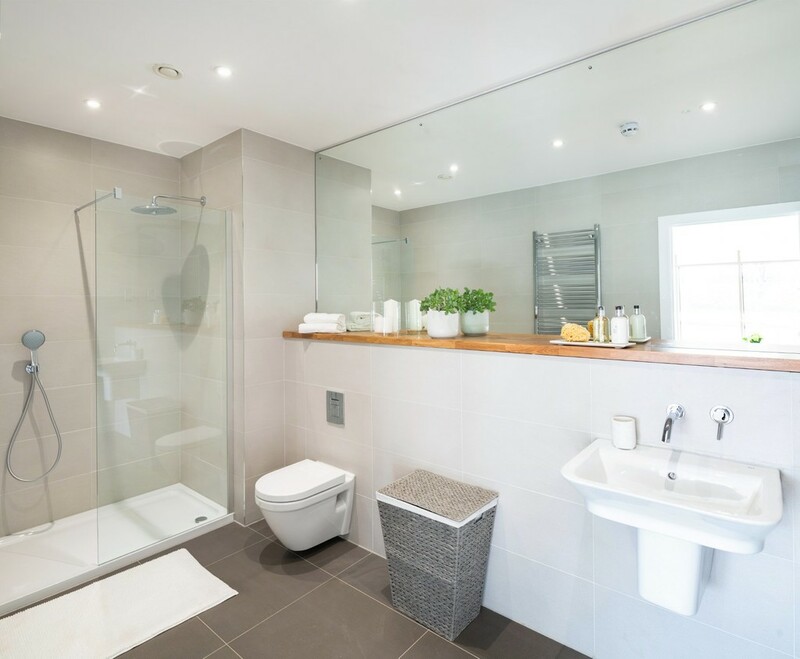 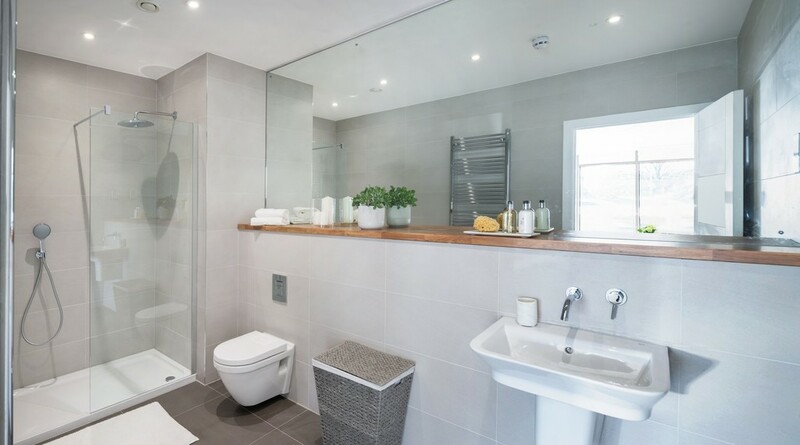 The fully tiled bathroom has his and hers sinks, and a freestanding feature bath, whilst there is also a fully tiled separate glass enclosed shower with rain head. 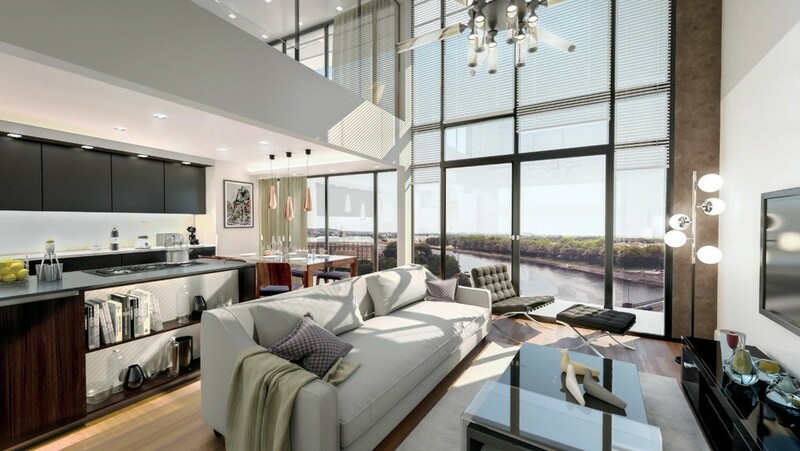 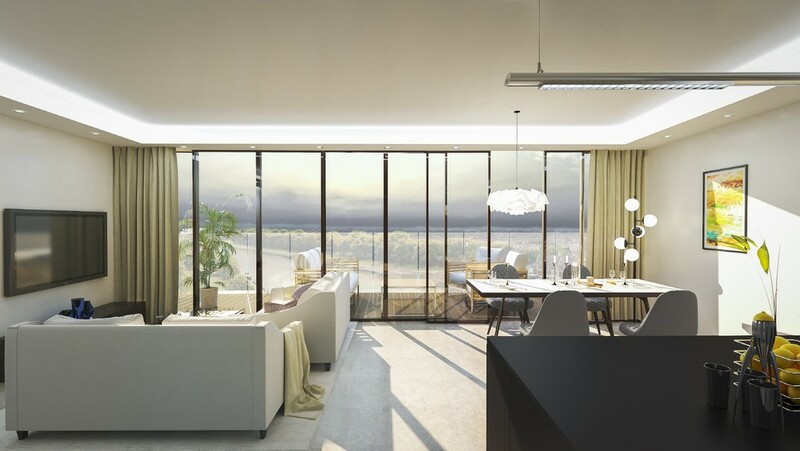 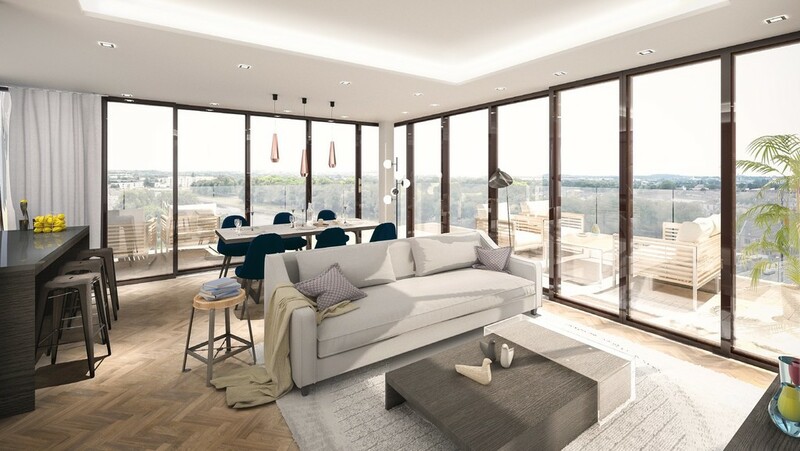 The Penthouse has the added advantage of an external terrace with glass balustrade. 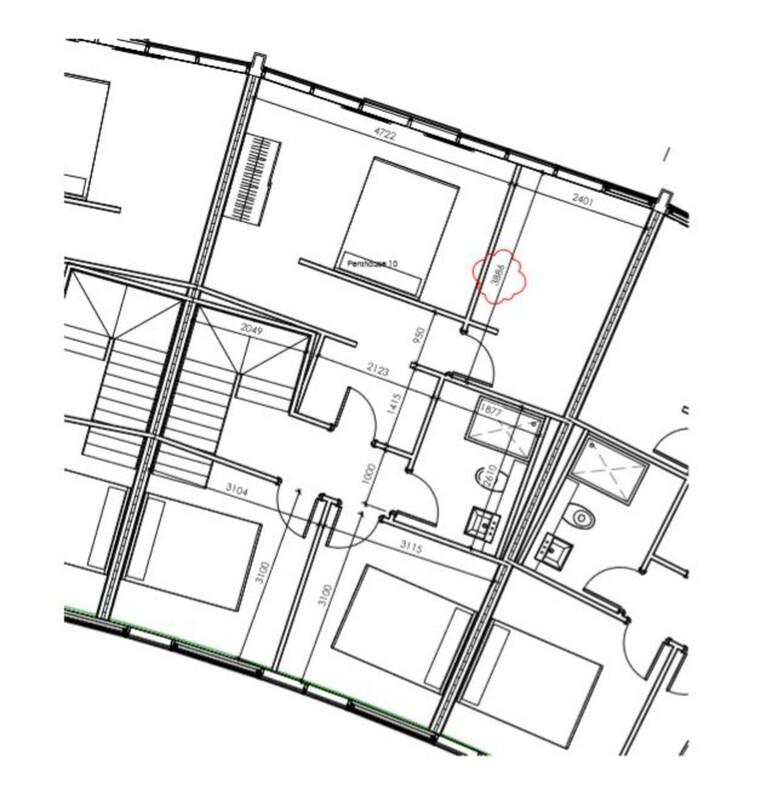 The Penthouse comes with a dedicated undercroft car parking space. 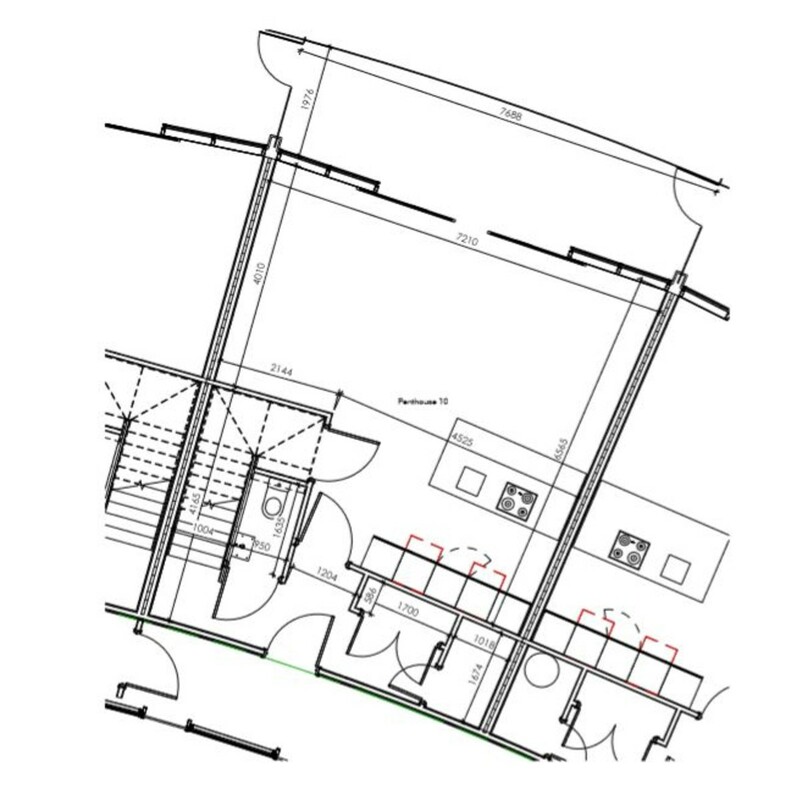 There is also secure bicycle storage.